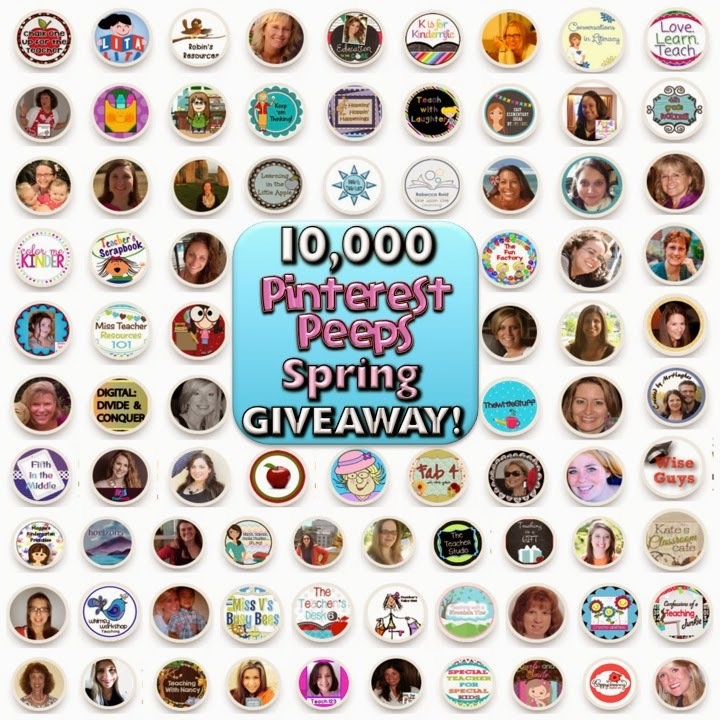 10,000 Pinterest Peeps Spring GIVEAWAY! It’s Huge! Hey, ya’ll! I reached 10,000 followers the other day on Pinterest, so I decided to celebrate by asking a BUNCH of awesome bloggers (84 actually!) to donate spring-themed resources for 7 special winners! In order to enter any of the following giveaways, you just need to follow some fabulous Teachers pay Teachers stores. Each bundle will have one winner, and the winners will be notified on March 20th, the first day of spring of course! Thank you for being here and BUENA SUERTE!!! Congrats on reaching such an awesome milestone! You have put together a TERRIFIC giveaway! WOWZA! Thanks for the opportunity to participate! Thank you, Angela! I appreciate that! You are truly amazing! Thank you for hosting such a great giveaway!! You can clearly tell how many people appreciate you and your work!!! Keep up the great work!! Thank you! What a sweet comment! Wow I can't believe how many giveaways there were on this page. Thank you for giving me SO many new resources to follow on Pinterest!! Thank you, Mandi! I'm so glad you found this helpful! just found your blog over spring break. congratulations! and btw, thank you for the Pintrest links on the rafflecopter; very helpful. Congratulations! I just found your blog and it is awesome! I LOVE this idea 🙂 Am very excited about this giveaway!!! Congratulations! New to your blog. Awesome giveaways!! This is fantastic! Thank you all so much for sharing all of your knowledge with us. Congratulations on your milestone!!!! Thank you, Jen! I appreciate that! What an incredible giveaway! Thank you for the opportunity to follow so many great TpT stores. Congratulations on your milestone! Thank you, Cheryll! I appreciate it! Love the giveaway! Thanks for opening my eyes to some other great TPT resources. You're welcome! Thanks for your kind words! Wowzers. This is amazing! Congratulations and thank you!